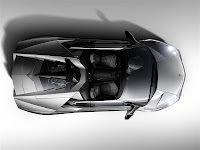 At the 2009 Frankfurt Auto Show, revealed a lot of new Exotic Car, but one of the cars that just might be sold out when its released in the market is the Lamborghini Reventon Roadster, with the price tag of 1.6 million USD this Exotic Car is the convertible version of the coupe, since the coupe is already extremely good looking, this convertible might probably be exceeding its other model, which Lamborghini plans to produce only under 20 units of this Reventon Roadster, so if you have the G's to get one, I'd advice you to move quickly or you'll be missing the chance of getting one hot limited Supercars ever made. 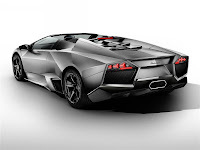 The design, Lamborghini Reventon Roadster still has the stealth fighter look very edgy equipped with bi-xenon headlights and LED Rear lights the car has a special shade of matt gray which they call it the Reventon Gray that looks similar to a stealth weapon. 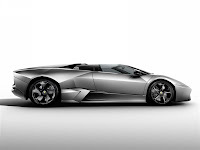 The Power, Lamborghini Reventon Roadster is equipped with a 6.5-liter V-12 engine that produces a 670 bhp and 487 lb.-ft. of torque, that enables this car to accelerate from 0 to 62 mph (100 km/h) in 3.4 seconds and race a top speed of 205 mph. The rear spoiler automatically opens at 80 mph to increase the downforce, the spoiler will change to a higher angle when the car reaches 136 mph or above in order to enhance the grip even more.